It’s been almost nine years since Apple introduced the first iPod, and in that time the device has progressively added the ability to manage different types of digital content: music, photos, videos, e-books and PDFs. We use iPods to listen to audio (music, audiobooks, podcasts), watch videos (movies, TV shows, video podcasts, home-made videos), view photos, and read books and even magazines. The device remains the top-selling MP3 player and commands a 70 percent market share in the U.S. More significantly, the iPod touch continues to grow—touch sales were up 48 percent in the third quarter of 2010 over the year-ago quarter. But the days of adding new types of digital content to the iPod appear to have reached their end. Apple has now really covered all types of media that can be converted into bits (although it’s possible that Apple may add periodicals in the future.) So we won’t probably be seeing any major new media-related features for the iPod in the future. Sure, Apple will update the iPod touch hardware, most likely with the same display as the iPhone 4 and a camera—and maybe even two—so you can shoot pictures, videos and, even have FaceTime conversations. But there’s very little room for Apple to make changes to the core of the iPod—its media player functions. A new display for the iPod touch would be nice, but Apple says the retina display’s “pixel density is so high, your eye is unable to distinguish individual pixels.” So the next model might be an improvement, but after that, how much better can you get than “unable to distinguish”? Same with cameras—add them and you can improve the quality later, but not much else. A real zoom would be space prohibitive, and anything higher than 720p would be unrealistic. Form factor is always a risky area, as the checkered history of the iPod nano has shown. For the iPod touch, at least, the form factor has to take into account the display size because of the many apps it can run. So we probably won’t see a smaller touchscreen iPod any time soon. 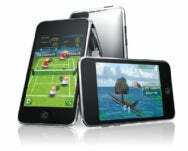 The iPod touch will clearly become the core iPod model, especially as we see the demise of the iPod classic. As soon as the iPod touch can hold 128GB, the difference with the classic will be negligible. The only people who buy the classic are probably those with huge iTunes libraries that they need to carry with them. And hard-drive-based iPods are on their last legs. The nano will probably stick around, because it’s small, light, and offers an entry-level device for people who just want music, photos, videos, a camera, and so on—but don’t really care about apps. As for the shuffle, I’ve always liked the concept, but I really hope that Apple goes back to a model that has buttons. Still, for the price it’s a good foray into the iPod market and a nice little device for exercising. The iPod touch is the future of this product line. It allows Apple to keep a steady income flow from selling apps, videos, e-books, and, perhaps, periodicals. It’s similar enough to the iPhone that Apple’s marketing for the latter device spills over to the iPod touch. (“If you don’t need a phone, but want to use all those great apps, this is for you.”) And, frankly, it’s the best iPod there is today; all it needs is more capacity, and as flash memory continues its downward slide in price, this will happen. All Apple can do now, aside from cosmetic changes, is add features that enhance the way we interact with content. For example, rumors abound about an iTunes streaming service, and people seem interested in the idea. Will we see an iPod touch that can stream content from iTunes and from Apple’s servers over a Wi-Fi network? And we’ll certainly see wireless syncing at some point—or at least I hope so. But after Apple tackles wireless, what’s next? I’m sure that the iPod team has some tricks up its collective sleeve, but it will be increasingly difficult to come up with killer features. 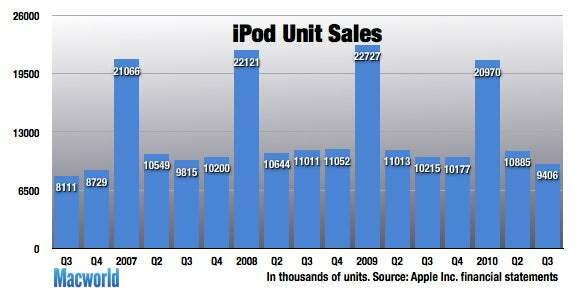 The iPod has become a commonplace device, and its capacity to add new features may have peaked. What do you want to see in the next iPod? Which iPod models do you think are here to stay?